It is inevitable that mistakes will happen and when they do they can have serious consequences for the patient and their family. This is why hospitals, doctors, healthcare professionals, nurses and GP’s have a duty of care towards their patients and are required by law to hold insurance cover for medical negligence and medical malpractice claims. 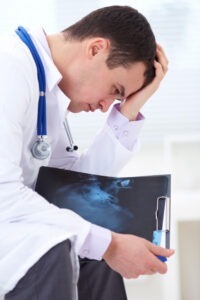 If you have suffered pain and injury as a result of medical negligence we can help. Medical negligence (also known as clinical negligence) is a complex area of law but here, at DSM Legal Solicitors in Warrington, we have the experience and the knowledge to help you. Medical negligence claims offer people a much-needed chance to recover compensation, whether the treatment was carried out in the NHS or privately. If you think you may have a claim call us for advice on 01925 937070 or complete our Medical Negligence Enquiry Form by clicking here. We will call you back at a time convenient to you. We now have a Wigan office which can be contacted on 01942 914004. We will guide and support you through the whole process and ask only that you provide us with as much information as possible at the beginning of the case, including copies of medical records, correspondence and any other documentation in your possession so that we can make an accurate assessment of your claim. If, having considered the evidence you have provided, we believe that your prospects of succeeding in your claim are good we will offer to take your case on a no win no fee basis. No win no fee – what does it mean? ‘No win no fee’ means that if you do not win your case you do not have to pay our fees. If your case does succeed and we obtain compensation for you then you will pay a contribution to our fees. The contribution will be based on a percentage of your compensation and will be discussed with you at the outset. You will not be expected to pay for medical reports, barrister’s fees or Court fees. For free, expert legal advice call 01925 937070. Or complete the ‘Contact our Solicitors’ form at the bottom of this webpage. It is an upsetting and distressing time and you will need the support and understanding of professionals you can talk to and trust – people who are experienced in dealing with medical negligence claims. Taking on a large hospital trust and their lawyers can be intimidating, but for over twenty years we have helped clients in bringing medical negligence claims against doctors and medical staff in NHS hospitals and the private sector. We aim to make the process of making a compensation claim as easy and as stress-free as possible for you. An experienced solicitor handling your claim will ensure the best outcome. Read our clients’ testimonials to see for yourself the excellent service we provide. If you think you could be eligible to make a medical negligence claim, call Diane Massey on 01925 937070 or complete our medical negligence enquiry form by clicking here. Negligent surgery – errors made during or after surgery due to the standard of care being below the minimum requirement. There are many different examples of medical negligence, not just those against doctors, GPs and hospitals. For a free, no obligation assessment of your medical negligence claim call us on 01925 937070 or email diane@dsmlegal.co.uk. Please be aware that any type of medical negligence claim should be dealt with as soon as possible as strict time limits apply. There is usually a great deal of work to be done and you may lose your chance to bring a claim if you delay in taking legal advice. Use our clinical negligence compensation calculator to find out how much you can be entitled to. Our offices are based near to IKEA and Marks & Spencer Gemini in Warrington, minutes from the town centre and junction 8 of the M62 motorway.